What is an Acrobat Ant? Another small black ant common to the Delaware and Maryland region is the Acrobat Ant. Over the years our certified technicians have inspected many homes with little black ants trailing along tree limbs and utility lines. After a thorough inspection and identification, we have found the little black ant in question is the acrobat ant. Acrobat ants are about 1/16th to 1/8th long with the workers being monomorphic, meaning all about the same size. The acrobat ant is black to light brown with some reddish yellow brown varieties. Acrobat ants have a distinct behavior from which they derive their name. When excited Acrobat ants raise their abdomen over their head and thorax like they are performing a balancing act. Another distinguishing characteristic unique to Acrobat ants is the repulsive odor omitted when alarmed. The most prominent feature is the visible heart shaped abdomen. Where to Find Acrobat Ants? Acrobat ants can be found nesting both outside and inside your home. Acrobat ants will nest in firewood, soft, moist or decayed wood and are sometimes found in foam insulating boards or sheathing. Outdoors, Acrobat ants feed on live and dead insects, and like Odorous house ants, they tend to aphids for their “honeydew” secretion. Trailing along electrical lines, telephone lines, tree limbs, decks, fences or other structures in contact with the home, acrobat ants gain entry into a structure through cracks around windows, doors and other small openings. Inside technicians have found acrobat ant nests in baseboards, wall voids, door and window framing especially those that have been compromised or damaged by moisture. Often customer service requests for sugar ants are identified as acrobat ants because Acrobat ants are often seen trailing from the sugar bowl or other sweets. In addition to sweets, acrobat ants will feed on meats or other high protein foods. How to Get Rid of Acrobat Ants? Like all other pest ants, the key to elimination is inspection and positive identification which cannot be done over the phone. Any exterminator or pest control company can quote a price for a yard or house spray in the hopes of exterminating an ant infestation but that usually does not solve the pest problem and just pollutes the environment. It is our policy to identify the insect(s) in question, not all conducive conditions that may contribute to the infestation, communicate all options and devise a plan to rid your home of the infestation and keep it from reoccurring. After identification, acrobat ant control starts with eliminating moisture and any other contributing factors by sealing around the interior and exterior of windows and doors within the structure. Similar to other pest ant problems it is always recommended to remove leaf debris, bushes, branches and tree limbs away from the building. Activ Pest Solutions is dedicated and trained to communicate as many methods of Non-Chemical Pest elimination or control as possible before treating your home with any insecticide applications. If the nest can be located a direct insecticide application might be the best course of action but is determined at the time of inspection. It is important to understand that sometimes in order to locate an acrobat ant nest an investigation may involve an intrusive process of discovery by dismantling of construction. Activ Pest Solutions values your home as much as you do. 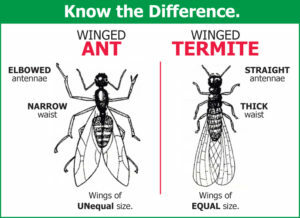 Our certified Pest Control Technicians will complete a Free On-site Thorough Inspection to provide you with insect identification and detailed solutions to rid your home of ants and keep the problem from reoccurring.